Garden Of the Arquebus : Used since the 16th century by the Harquebusiers, the gardens were bequeathed to the city on 1808. 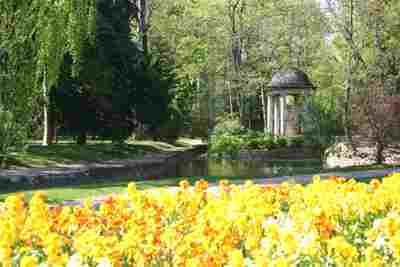 Located in the city centre and covering some 5.5 hectares, the gardens are divided into three parts: the central part (botanical gardens) allows the study of the Burgundian flora, the eastern part, contains the Natural History Museum and a space composed of lawns and flower-beds, ending with an outdoor theatre and the Southern part which is used for recreational activities (aviary, games, etc.) 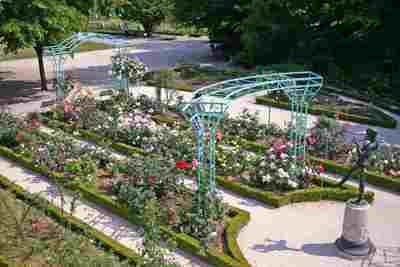 A rose garden covering 280 m2, created in 2004, presents over 200 varieties of roses. The garden is crossed by the Raines, a stream on which various kinds of ducks can be seen. 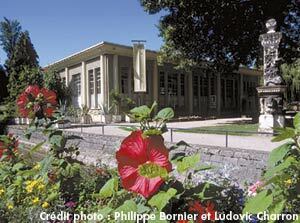 Various architectural elements enhance the gardens: small loggias, temple d'amour, statues, etc. Remarkable Plants: over 505 species of broad leaved trees and 109 conifers of various species. The botanical gardens preserve more than 3.500 indigenous or exotic species. October ­ end of February: 07:30 a.m. - approx. 5:30 p.m.
1st March ­ Summer time: 07:30 a.m. - approx. 7:00 p.m.
Summer time ­ end of September: 07:30 a.m. - approx. 8:00 p.m. 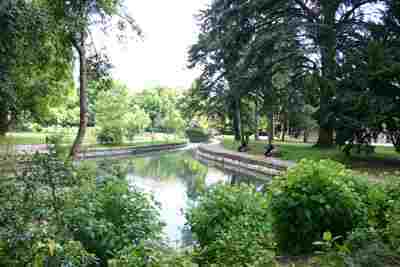 Situated in the city centre, the gardens are easy to reach from the Darcy Car Park or by bus.